Used. Recycled. One-trip. Purpose-built. What does it all mean? Where exactly has your container been and what does it mean for your container structure? This week we’re walking you through the different types of containers you may encounter as you design a container structure. True to their name, one-trip containers have made just one journey overseas. They exist largely because in the United States we import much more than we export, and it’s more cost-effective for shipping services to create new containers than to ship an empty container back to Asia for reloading. Used containers, also known as recycled containers, have spent up to 15 years at sea carrying our goods around the world. Their experience shows to say the least. Used containers tend to have large dents and rust patches. They also have large logos from the original manufacturer. Used containers cost less and are arguably more eco-friendly than one-trip containers because they’ve had long careers traveling at sea. However, their conditions are a wild card. The used container depicted above is actually on the better end of the spectrum when it comes to rust and dents. Others have dents that warp the walls, making modifications such as doors and interior framing very difficult. Distortion to the container can make opening cargo doors a feat of strength. Upwards of a decade at sea can also lead to patchy floors and an unpleasant odor. In our experience, people who choose to create container structures with used containers are startled by their dilapidated condition. 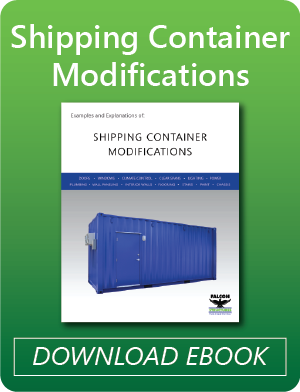 If someone is considering a used container, we thoroughly evaluate whether it will be a good fit before beginning modifications. Purpose-built containers are custom steel boxes fabricated to order. 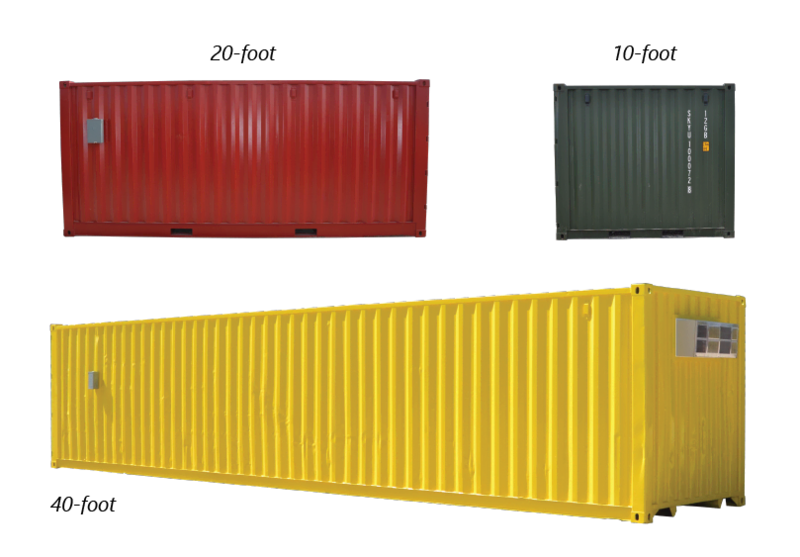 They may look similar to ISO shipping containers, but their dimensions often vary outside the standardized sizes. Businesses usually opt for purpose-built containers when they need an extremely custom structure for specialized industrial equipment. They’re significantly more expensive than one-trip containers, but the cost may be justified if the end-user has precise specifications that can’t be met by standard containers. High cube containers are one foot taller than typical containers. The higher ceilings make them ideal for living spaces and offices. One-trip A container that has only carried cargo once; the newest containers available One-trip containers can be used for just about every application. Used A container that has carried cargo for up to 15 years before being retired. Used containers are best for basic storage functions without dramatic modifications. Purpose-built A custom steel box fabricated to exact specifications. Businesses usually choose purpose-built containers for highly customized industrial equipment enclosures. High Cube A 9’6” tall shipping container, a foot taller than typical shipping containers. The higher ceilings make high cube containers ideal offices and living spaces. 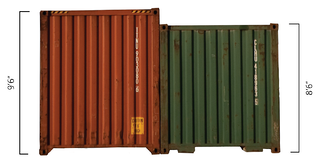 Most shipping containers are either 20-feet long or 40-feet long. Less common but certainly available are 10-foot containers. 45-foot and 53-foot and containers do exist, but they’re very difficult to find and, more often than not, unavailable. 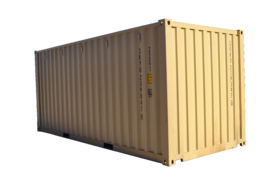 If you have any other questions about shipping containers, contact us at 877-704-0177 or sales@falconstructures.com. We’re happy to answer your questions.